England's Simon Dyson shot a five-under-par 67 to take a share of the lead with Spain's Alvaro Quiros after the first round of the China Open. Dyson, who was given a suspended two-month ban after disqualification from the BMW Masters last October, made six birdies and a bogey in Shenzhen. 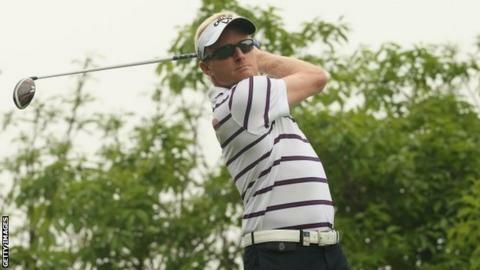 "The first nine holes was the best I have played for quite some time," Dyson told the European Tour. England's Ian Poulter had four birdies for a three-under par share of ninth. World number three Henrik Stenson, who can take the top spot in the rankings from Tiger Woods with victory in China, suffered a fourth bogey of the day on the last for a 71. Play was suspended because of darkness with five players yet to complete their opening rounds.